The Islamic State of Iraq and al-Sham (Arabic: الدولة الاسلامية في العراق والشام‎ ad-Dawla al-Islāmiyya fi al-'Irāq wa-sh-Shām) abbreviated as ISIS or sometimes ISIL with L for "Levant" (acronym in Arabic: داعش‎, Da'āsh) is an al-Qaeda linked group fighting in both Syria and Iraq and pushing for a unified Islamist state spanning both nations. ISIS joins previous al-Qaeda affiliate Jabhat al-Nusra as representatives of the Abu Musab al-Zarqawi tradition in the region, but in a more confrontational and extreme way that more often leads them to attack fellow opposition fighters as well as government, Kurdish, and other forces. The group is infamous for their slick media productions in print and video aimed in Western languages at a Western audience. 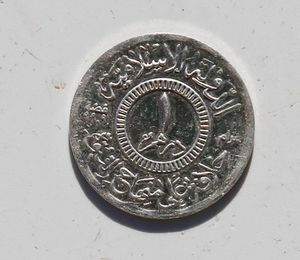 On June 29, 2014, weeks after it conquered large parts of north-western Iraq including Mosul, the organization issued a declaration changing their name to "Islamic State", pronouncing the real life existence of that state in tradition of the caliphate and declaring their leader al-Bagdhadi from now on to be Caliph Ibrahim whom all Muslims must swear allegiance to. Some Islamist groups in Africa and elsewhere have since accepted the "Caliph" while others denied his legitimacy. Some of the adventures that followed are covered in other articles found in the category about the group. In March 2019 the group saw its final defeat at the hand of US-supported mainly Kurdish SDF forces, after it had been defeated already in November 2017 in urban territory west of the Euphrates by the Russian-supported Syrian Arab Army. 7 Life after return ? In Raqqah, JN and ISIS can be considered one and the same.In Deir ez Zor and Hasakah too, that’s the apparent case. But in Aleppo, it’s clear that JN and ISIS are two distinct entities now, issuing statements using separate names, but clearly co-operating with each other. We haven’t seen presence of ISIS in Idlib yet, but lots of presence of quite militarily successful JN units. In Lattakia, we have seen at least one suicide bombing carried out in name of ISIS; the status of who is who in Lattakia is unclear. Damascus ISIS carried out at least one suicide bombing in Harasta, though my general understanding is here also JN and ISIS names are used interchangeably. For eg. the attack on the Shia international brigade Liwa Abu Fadl al Abbas was carried out in the name of ISIS. The ISIS Study Group is a bunch of retired US military people aiming to "help educate the American people on the threat posed by ISIS"
Dabiq, a town in Syria about 40 km northeast of Aleppo, is featured in an end-of-the world hadith (Book 41, 6924). Also a glossy online recruitment magazine ((wikipedia). "See you in Dabiq" video: New ISIS Video Shows Armageddon Battle With the West, 'end of the world' video showing final battle with 'crusaders', Dec 11, 2015. The Bush Administration tapped Paul Bremer to head the so-called Coalition Provisional Authority on May 11, 2003. Twelve days later, he issued an order wiping away the Iraqi military, with a pledge to build a new one from scratch, untainted by any ties to Saddam’s regime. (2004) Abu Bakr al-Baghdadi said to be arrested and later released as a low threat, according to Pentagon, - NY Times, Aug. 10, 2014. (An alternative version is also mentined by the NY Times). In November 2006, trained and equipped Ministry of Defence forces numbered 134,700. (Brookings Institution 2006:25). The goal of the MNSTC-I is to reach a troop threshold of 137,000 by the end of 2006, a target which appeared clearly in reach. However, these figures belie serious problems that confront the process. For instance, the numbers of soldiers trained and equipped does not convey their readiness to engage in military operations. The MNSTCI uses a four-point classification scheme to determine unit readiness, with Level 1 ascribed to fully capable soldiers and Level 4 assigned to ‘incapable units’ (Fallows 2005:61). By December 2005, only 50 out of the 102 battalions formed were in the 1-3 range, with most of those falling into levels 2 and 3 (Cordesman 2006:ii). 12 Oct. 2006. Islamic State of Iraq (ISI) is founded, Umar (Omar) Al-Baghdadi becomes its emir (killed in 2010). (2013) CIA ramping up covert training program for moderate Syrian rebels, Washington Post, by Greg Miller, October 2, 2013.
the CIA program is so minuscule that it is expected to produce only a few hundred trained fighters each month even after it is enlarged...The agency has trained fewer than 1,000 rebel fighters this year, current and former U.S. officials said...the agency has sent additional paramilitary teams to secret bases in Jordan in recent weeks in a push to double the number of rebel fighters getting CIA instruction and weapons before being sent back to Syria. August, 2013: ISIS involved with JaN, Ahrar al-Sham and others in capture of Menagh Air Base (Levant Report), Latakia offensive and massacres (Monitor blog), establishes their capitol in Raqqah. late 2013-early 2014: Nusra-IS split. Jihadi ideologue Abu Muhammad al-Maqdisi called upon Muslims to reject the Islamic State in Iraq and the Levant (ISIL) and urged its members to leave the group and join the al-Qaeda-affiliated al-Nusra Front. Kuwait disrupts extremist cell supporting the Islamic State, Hussain Al-Qatari, AP, Nov. 19. According to Cyberberkut (RIA.ru), in late September 2015 (21-27 of September) Ukrainian state-run defense enterprise "Ukroboronprom" was negotiating to deliver S-125 surface to air missile system "Pechora" to Qatar, with a help of a Polish company, and routed via Bulgaria and Turkey. "Pechora" is an old but capable SAM system which can hit targets at up to 18 km altitude, and can pose a danger to military or commercial aircraft. Timing of those negotiations coincide with deployment of Russian air forces to Syria. Russian airstrikes officially started on 30 of September, but rumors about this were circulating earlier (first report on actual Russian strikes appears to be dated 25.9. Reports of such plans appeared as early as late August. Qatar is believed to be supplying armed opposition groups in Syria. Qatar has advanced Western weapons, and access for more if needed for its own defense. There seem to be little point in acquiring an old (1960-s design) Soviet SAM (especially from Ukraine, as servicing and maintenance cannot be assured), unless it is forwarded somewhere further. Ahmet Sait Yayla was Chief of the Counter-Terrorism and Operations Division of Turkish National Police between 2010 and 2012, before becoming Chief of the Public Order and Crime Prevention Division until 2014. [...] he had personally witnessed evidence of high-level Turkish state sponsorship of ISIS during his police career, which eventually led him to resign. He decided to become a whistleblower after Erdogan’s authoritarian crackdown following the failed military coup in July. The Islamic State in Southern Syria -Carter Center report, May 15, 2015. (Report describes suspected link of jihadists groups with IS such as lack of denunciation, similar ideology, and some cooperation). 'The Caliphate’s Global Workforce', West Point, April 2016 (stats on available records- 37 pages). Сирия, Оперция "Базальт". Головорез ИГИЛ* из долины Ярмук (Syria, Operation "Basalt". Cutthroat IS fighter from the Yarmuk valley), ANNA News, Aug. 11, 2018. Interview with a captured IS fighter/commander Abdallah Rabah, aka Abu Akhmed al-Julani, goes over beliefs, Sharia, weapons sources and interaction with other groups. They were buying weapons at every opportunity, his group had TOWs, 'Nu29' (RPG29? ), and anti-aircraft weapons. Nusra group left them their weapons when leaving, and negotiated a pledge of allegiance during a 1 month ceasefire, but in the end just left. Some planned pledge of allegiance with FSA briefly mentioned. McCain interview from 2014 is linked by the authors for comparison). Interaction with USA, denies, and points out to the destruction of Raqqa. Interviewer tells him that (the coalition) gave IS a safe passage out of Raqqa (compare with BBC), with no substantial response. Sharia, recalls that a woman was stoned for infidelity, after 4 witnesses testified, her house was watched, and she confessed (the husband who had to throw the first stone knew, and run away); a thief's hand was cut; and a magician killed; no 'ifs and buts' with the law implementation. Prayers, must be followed (or else, either lazy -smaller sin-or kafir). On Christians, 'accept Islam, (as translated, -should be followed by or) pay Jizya, or we will fight'; atheists, to be killed. Schools, Islamic subjects taught and mathematics up to 6th grade, sciences not taught (interviewer asked about second Newton's law & Kalashnikovs, unable to answer on Newton, while Kalashnikovs are given by God, details like weapons origin do not matter). It is mentioned that interview opportunity arose before the prisoner was transferred to the Syrian authorities. Some background on battles fought in the area (Yarmouk valley, near Jordan border and Golan Heights) is provided in the beginning of the video. Authors mention that IS in the area is formed by an alliance of 3 groups, including moderates; and mention (1:48)Khalid ibn al-Walid group (Arabic text translated as 'the word of God is higher than the word of infidels', attributed to Khalid ibn al-Walid group, 'IS in Yarmouk valley'). A video, Addressed to the UK government...Rusvesna/Mail Online, Jan 3, 2016, as appeared. Video published claiming to show 'captured FSB agent' 'Captain Petrenko', a freelance/non-staff employee of the 2nd operational department of the FSB of Russia in Moscow in the rank of captain, from Tsaritsin, Moscow region. Petrenko appeals to Putin, Russia, and FSB for his release. It is noted by an 'Alpha' veteran' that it is impossible for a non-staff employee to have a rank of captain, and that non-staff is not sent on FSB missions to hot spots. Also, there is no city of Tsaritsyn, only a Moscow district Tsaritsino, not a city on its own. (Tsaritsyn is also an old name of Volgograd). Video linked by AIF is no longer available. Earlier story, Magomed Khasiev executed by Anatoly Zemlianka, mentioned. Beheading video appears - Rusvesna, 9 May, 2017. Screenshot with Petrenko in a robe resembling those used in Russian prisons, and a Russian-speaking executioner behind is shown. Video itself is not linked 'by ethical considerations'. (Does not explain who is shown on video and what is his fate; those videos not easily available). Video discussed in Western media, Site Intel. It was uploaded on youtube on May 9, 2017 (Полный Банкрот. Из Халифата с любовью. is one of youtube versions). Unedited copy (killing on camera) is out there as well. Original post, “Complete Bankruptcy”, al-Furāt Media Foundation, May 8, 2017, reposted on some translaton/jihadi studies websites. A video detail: while you are fighting us, you are being encroached by military might of the West (with recent deployment videos to illustrate). About 50 residents of Chechnya returned after joining IS, Kadyrov said, RIA (google translated), Nov. 21, 2015. It was announced that the program to return such people to Chechnya was later discontinued, RIA (google translated), Nov 28, 2015. Everything about the Islamic state; News updates,All Media releases,fatawa and articles about the Khilafah. On June 21, 2017, while Raqqa is under siege and heavy attack by the SDF and the Iraqi army tightly surrounds the old town of Mosul, at the latter place ISIS blows up the Al-Nuri mosque with its leaning minaret where Baghdadi proclaimed the "caliphate" in 2014. A day later, the Russians announce that they now have verified information and deem it "highly likely" that Baghdadi was, as rumours have said for a week already, killed in one of their air strikes on the southern outskirts of Raqqa on May 28, 2017. By November 8, 2017, the last city the group held in both Syria and Iraq was taken after a series of dominoes quickly fell over in Hawijah, Mayadeen, Raqqa, Deir ez-Zor, Al Qaim and finally Al Bukamal. Some wonder where all the foreign fighters disappeared to, but according to global news it seems they have been relocated in time to places like Yemen, Philippines, Myanmar and Afghanistan. On May 19, 2018, the Washington Post suggests that Baghdadi may be alive. In August 2018 British media reports that a new audio allegedly featuring Baghdadi has surfaced. 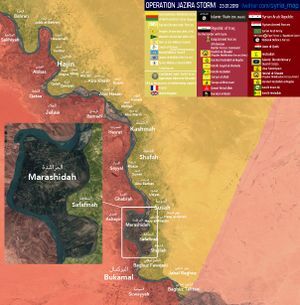 On March 23, 2019, the SDF declares final victory over ISIS after several months trying to eliminate the cult's last pocket of land, the so-called Hajin pocket on the eastern banks of the Euphrates close to the Iraqi border. Neither Baghdadi nor other core leaders were found and there are indications that forces once flying the ISIS banner will resurface at other spots of conflict on the globe. Media wing continues to operate and produces weekly reports, Al Naba. Naba-174 reports on worldwide attacks through 20 March, 2019 (graphics via Cassad). Naba-175, 28 March 2019, is summarized on SITE intel and claims more worldwide attacks. A recent video, al-Baghūz #2, was filed on 21 March by monitoring site jihadology.net. April, 2019. Rusvesna: IS state published video with captured Russian soldiers or PMC, video linked, showing heavily wounded or dead bodies. According to Rusvesna, this may happen during an ambush in a desert in Homs province on 22 February, 2019 (described here). SITE intel "Amaq Video Shows IS Fighters in Possession of 2 Russian Corpses..." (an icon on the main page, but no details with free access).